Web Scientific supplies a range of Precast Homogeneous and Gradient Polyacrylamide Gels suitable for a variety of applications, including: Protein, DNA/RNA and peptide electrophoresis. 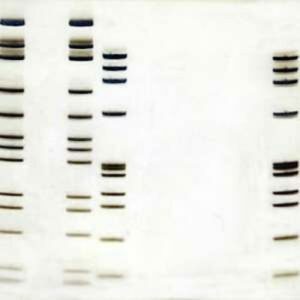 The gels we supply are presented in disposable cassettes with a format of 10 x 10cm fitting into most of the available mini-gel electrophoresis systems, including Cleaver, NOVEX, Serva, Hoefer, Biometra, Scie-Plas, etc. If in doubt please ask for compatibility. 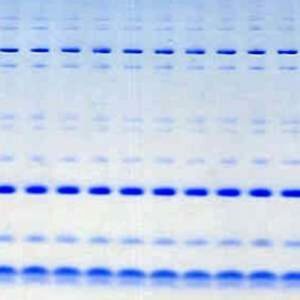 All of our polyacrylamide precast gels have a stacking gel and do not contain SDS. By choosing the appropriate running and sample loading buffer (with or without SDS) native, denaturing or reducing conditions can be created. Gels are available in boxes of x10. Combining different types of gels in one box is possible, please enquire. 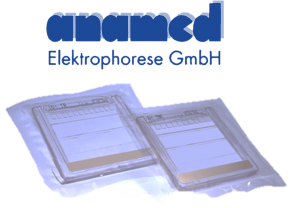 All of our gels are manufactured by Anamed, Germany, for which Web Scientific is the appointed UK Distributor. 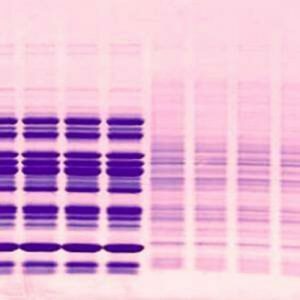 Gels are prepared to GLP standards using only the highest quality raw materials and then QC tested to guarantee the highest possible quality, meeting all essential requirements and specifications. Our precast gels are not only a safe alternative to home made gels in which exposure to harmful neurotoxic substances is significantly reduced, but also save on time and resources.